At Tampa Family & Divorce Lawyer Mindi Lasley’s firm represents clients in adoption proceedings and ensure that the adoption process runs smoothly, including terminating the rights of biological parents and obtaining consent of the biological parents when necessary. We handle both contested and uncontested adoptions and represent clients who are adopting a child as well as parents attempting to maintain parental rights of their child. There are many requirements that must be met to adopt a child and they differ based upon the relationship between the child and the Petitioner. First, A Notice of Intended Adoption Plan must be served upon any known and locatable unmarried biological father who is identified by the mother, or by a diligent search of the Florida Putative Father Registry. A father’s failure to timely and properly respond to a Notice of Intended Adoption Plan authorizes the court to enter a default, thus terminating the father’s (or mother’s) parental rights. This is often uncontested, and the court treats family member adoptions differently than non-family member adoptions. Family adoptions to not need a completed home study to proceed. However, these cases may become contested when one party has to show abandonment by the other party. Out of State Adoptions: We handle out of state adoptions, which are more complicated than most people believe, and we ensure that the strict provisions of the Interstate Compact for the Placement of Children (ICPC) are adhered to. Foreign Adoption: We work with domestic families seeking foreign adoptions. Independent Adoption: We work with adoptive parents and identified birth parents in independent adoptions. Termination of Parental Rights: We terminate parental rights, which is necessary in an adoption proceeding. Our firm is experienced in handling both sides of the adoption process. 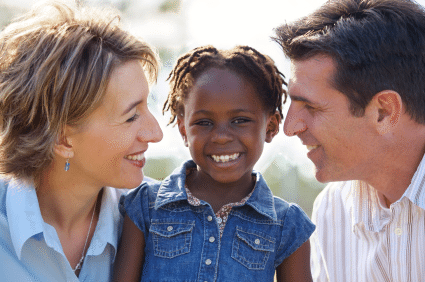 It’s important to note that once a child is adopted, that child will legally be the equivalent of a biological child, and he/she will be entitled to inherit from the adoptive parent’s estate. In a stepparent adoption, if the couple divorces, the non-custodial parent will also have the obligation to pay child support for that child. Most adoptions become contested, or an adoption becomes required, because one or both of the parties has abandoned one or more of the children. In such cases, Child Protective Services may get involved, and an adoption can be achieved. When these situations are found, it is seen as a rejection of parental responsibility. If, in the opinion of the court, the efforts of such parent to support and communicate with the child are only marginal, the court may declare the child to be abandoned. In making this decision, the court may consider the conduct of a father toward the child’s mother during her pregnancy. It’s important to talk to an experienced Tampa adoption attorney for more information about the definition of abandonment and the legal impact it may have on your case. Tampa Family & Divorce Lawyer Mindi Lasley handles contested and uncontested adoption cases and represents clients who are adopting a child, as well as parents who are trying to maintain their parental rights. If you are seeking to adopt, we would love to be part of that joyous process that introduces you to your new son or daughter. Regardless of whether you plan to adopt domestically, from a family member, or out of the country, we will represent you in the adoption process and make sure the process runs smoothly, including terminating the rights of biological parents. While it’s true that the adoption process can be complicated and involve a lot of red tape, Tampa Family & Divorce Lawyer Mindi Lasley knows how to navigate adoption law and will make sure you feel involved every step of the way. Our firm will guide you through the maze of legal requirements throughout the entire adoption process to ensure that the adoption is done properly, and the best interests of the child are satisfied. For more information, contact Tampa Adoption Lawyer today.